Underneath this massive reservoir lies the remains of the original town of American Falls. Located in the best spot for a dam, the entire town had to be moved by cart uphill. The cement grain silo deemed too difficult to move can still be seen poking out of the dam, and during an extremely low tide, you can walk on the old sidewalks where the city used to be. The idea for the American Falls dam began after the success of the nearby Minidoka Dam led to better farmland and increased population. In 1908, limited testing of a dam site began, and a decade later, in 1918, geological investigations began that led to the proposal of a dam in 1919. This proposal presented a controversial issue, as it claimed that the best place for a dam and subsequent reservoir would be right where the town was located. 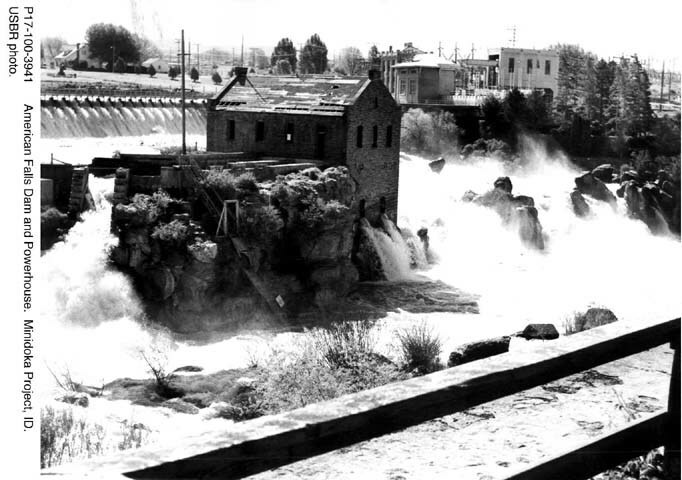 The authors of the proposal called for the relocation of a large section of American falls, a massive undertaking for a city that was starving from the falling crop prices of the post WW1 era. Deliberations on both the federal and local level took years to conclude that the dam was necessary and to finally begin the process of moving. The Bureau of Reclamation purchased many of the properties that would soon be flooded by the dam, and helped to clear the sagebrush to make new properties for these relocated homeowners. They would eventually buy 329 properties in the area, while some homeowners decided to keep their claim on the land soon to be flooded. 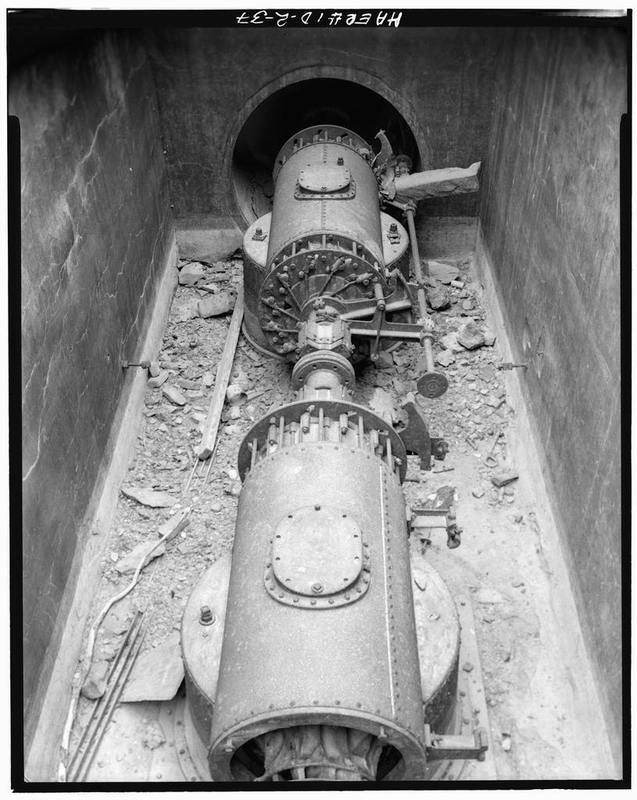 However, by the end of 1921, the head of the Reclamation Service decided that this project was too costly and ordered it ended. This alarmed many local farmers, who depended on dams and irrigation for water. A group of local businesspeople and farmers raised enough money to cover the additional costs and petitioned the Bureau to resume construction on the dam. With half of the financial cost covered by the local community, the head of the Bureau of Reclamation acquiesced and resumed planning to move the city. In 1925, construction began. Old power lines and railroads had to be relocated around the dam, and the monumental task of moving the entire city had to be undertaken. Most of the buildings in the city were moved by horses pulling large wheeled carts. Famously, one particular Sunday, the St. John Lutheran Church was in transit and several worshipers attended their service in the church while it was on wheels. By the end of 1925, all the buildings and markings from the former town site had been moved, with some exceptions. All that remained were a few foundations, some sidewalks, and the giant concrete grain silo that was deemed too difficult to move. The dam was finished in 1926, and local banks began opening up and expanding services, hopeful for the economic boost that this dam would bring. The dam held more than 1.7 acre-feet of water and stretched for miles along the Snake river. However, by 1973, it became evident that weathering and wear on the dam necessitated complete replacement of the structure. The new dam, finished in 1978, was built downstream of the old dam, and actually lowered the amount of water that could be held. Today, it supplies thousands of farms with water. The cement grain silo can still be seen from the dam, as well as the old powerhouse. 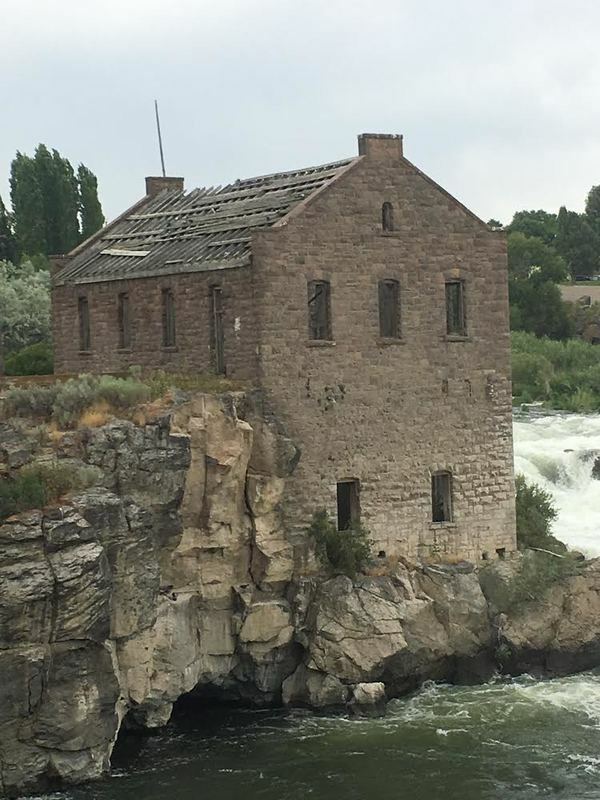 This building was built two decades before the dam was made, utilizing the natural waterfall to generate power, which was sent via power lines to Pocatello. The generator that was originally installed is still located within the dilapidated building, though it is impossible to reach. 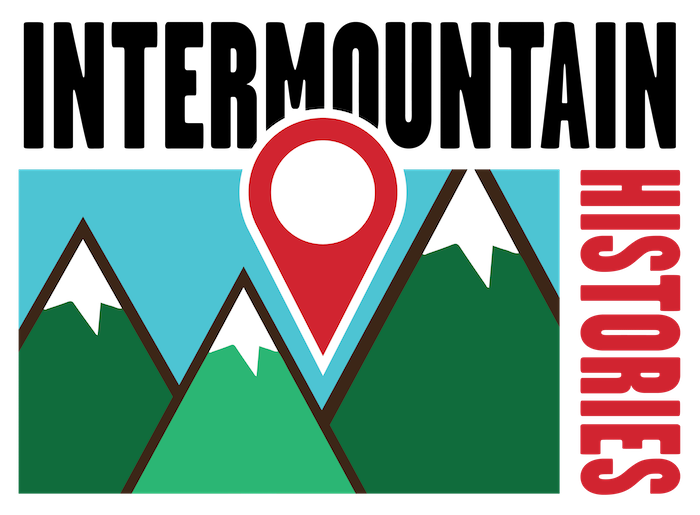 Josh Franzen, Brigham Young University, “The American Falls Dam and Moving a Town,” Intermountain Histories, accessed April 20, 2019, https://www.intermountainhistories.org/items/show/77. Buckendorf, Madeline, from application to the National Register of Historic Places. “Registration Form,” available at https://history.idaho.gov/sites/default/files/uploads/Oneida_Milling_and_Elevator_Company_Grain_Elevator_93000380.pdf Bureau of Reclamation, from Projects and Facilities. “American Falls Dam,” available at https://www.usbr.gov/projects/index.php?id=24 City of American Falls, from History. “The Moving of a Town,” available at http://www.cityofamericanfalls.com/history/ Gray, Dale, from application to the National Register of Historic Places. “Registration Form,” available at https://history.idaho.gov/sites/default/files/uploads/American_Falls_Reservoir_Flooded_Townsite_01001480.pdf Gray, Dale, from National Register of Historic Places, “Multiple Property Documentation Form,” available at https://history.idaho.gov/sites/default/files/uploads/American_Falls_Idaho_Relocated_Townsite.pdf Stene, Eric A. Minidoka Project. Report. Bureau of Reclamation. 1997.